Plagiarism is the presentation of the thoughts or writings of others as your own. It is a form of cheating. Whenever you draw on the ideas of others, you must say so. The common form of acknowledgment is the citation of the source in a footnote. Please read the University’s statement on academic dishonesty in the Undergraduate or Postgraduate Regulations, and the section on plagiarism in your Undergraduate or Postgraduate Handbook. Plagiarism can take many forms. All forms of plagiarism are taken seriously. The law school has prepared an online tutorial on how to avoid plagiarism, and all those using this guide are advised in the strongest terms to complete that tutorial. Some programs require you to sign to acknowledge that you have completed this tutorial before handing in your first assignment. If you remain unclear about what constitutes plagiarism, do consult your module tutor or your course director. 1. Part of the task of research is to collect together a range of ideas and to take account of them in forming your own ideas. You should include all the key books and articles you have used to collect that range of ideas in your bibliography (if one is required), regardless of whether you have referred to them expressly in your text. 2. You must include a reference to specific ideas or conclusions of others on which you rely by the use of an attributed quotation or the reporting of the idea or conclusion in a reference like a footnote. 3. Do not assume that, because a text has not been referred to by your tutors, they are unaware of its contents. It is generally easy for tutors to spot material which is not your own, either because they are familiar with the source or because your writing style suddenly changes. Some of your assessed work will be submitted to a plagiarism detection service. 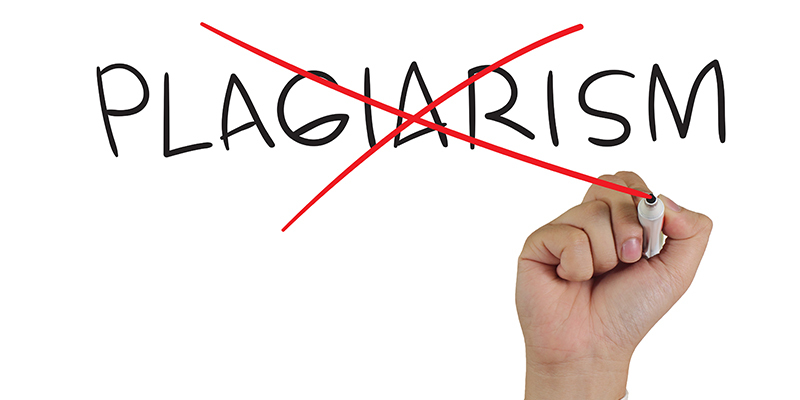 If your work is found to contain plagiarized material, you will be subject to investigation under the University’s procedures for dealing with suspected cases of plagiarism. If found guilty of plagiarism, serious consequences ensue. The professional bodies may take the view that someone found guilty of plagiarism is not a fit person to become a solicitor or barrister. 1. Part of the task of research is to collect together a range of ideas and to take account of them in forming your own ideas. You should include all the key books and articles you have used to collect that range of ideas in your bibliography (if one is required), regardless of whether you have referred to them expressly in your text. 2. You must include a reference to specific ideas or conclusions of others on which you rely by the use of an attributed quotation or the reporting of the idea or conclusion in a reference like a footnote. 3. Do not assume that, because a text has not been referred to by your tutors, they are unaware of its contents. It is generally easy for tutors to spot material which is not your own, either because they are familiar with the source or because your writing style suddenly changes. Some of your assessed work will be submitted to a plagiarism detection service. If your work is found to contain plagiarized material, you will be subject to investigation under the University’s procedures for dealing with suspected cases of plagiarism. If found guilty of plagiarism, serious consequences ensue. The professional bodies may take the view that someone found guilty of plagiarism is not a fit person to become a solicitor or barrister. 2. You must include a reference to specific ideas or conclusions of others on which you rely by the use of an attributed quotation or the reporting of the idea or conclusion in a reference like a footnote. 3. Do not assume that, because a text has not been referred to by your tutors, they are unaware of its contents. It is generally easy for tutors to spot material which is not your own, either because they are familiar with the source or because your writing style suddenly changes. Some of your assessed work will be submitted to a plagiarism detection service. If your work is found to contain plagiarized material, you will be subject to investigation under the University’s procedures for dealing with suspected cases of plagiarism. If found guilty of plagiarism, serious consequences ensue. The professional bodies may take the view that someone found guilty of plagiarism is not a fit person to become a solicitor or barrister. 3. Do not assume that, because a text has not been referred to by your tutors, they are unaware of its contents. It is generally easy for tutors to spot material which is not your own, either because they are familiar with the source or because your writing style suddenly changes. Some of your assessed work will be submitted to a plagiarism detection service. If your work is found to contain plagiarized material, you will be subject to investigation under the University’s procedures for dealing with suspected cases of plagiarism. If found guilty of plagiarism, serious consequences ensue. The professional bodies may take the view that someone found guilty of plagiarism is not a fit person to become a solicitor or barrister.